(CNN)Consistency was king for speed merchant Beat Feuz as the Swiss racer successfully defended his World Cup downhill season title in a tense battle with Italian Dominik Paris. The 32-year-old Feuz took an 80-point lead over Paris into the last downhill of the season at the World Cup finals in Soldeu, Andorra and finished sixth behind winner Paris to seal the Crystal Globe. Austria's Vincent Kriechmayer, who won the Lauberhorn Classic in Wengen, was third overall in the season standings. 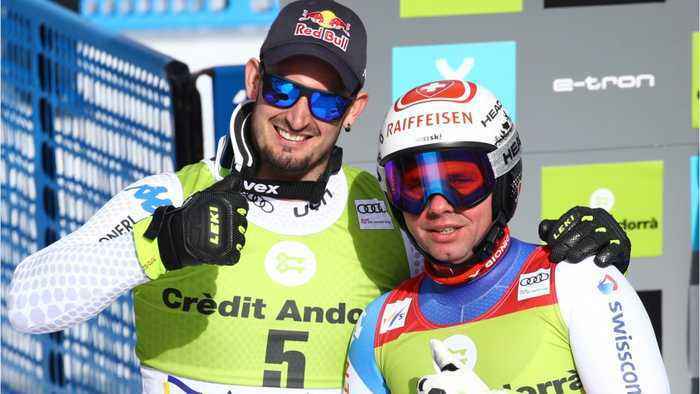 Austrian slalom specialist Marcel Hirscher has already sealed an unprecedented eighth World Cup overall title and sixth slalom crown in seven years.